Imagine: the thrill and exhilaration of owning the car of your dreams! The sleek curves, the shiny body…it’s everything you’ve ever wanted. And now you can own it for a fraction of the price…and a fraction of the size. If your favourite television show happens to be Top Gear, and you’d rather watch the Formula One than the cricket, then we think we’ve found the specialist car company for you. They may not be real, but they’re a collector’s dream. 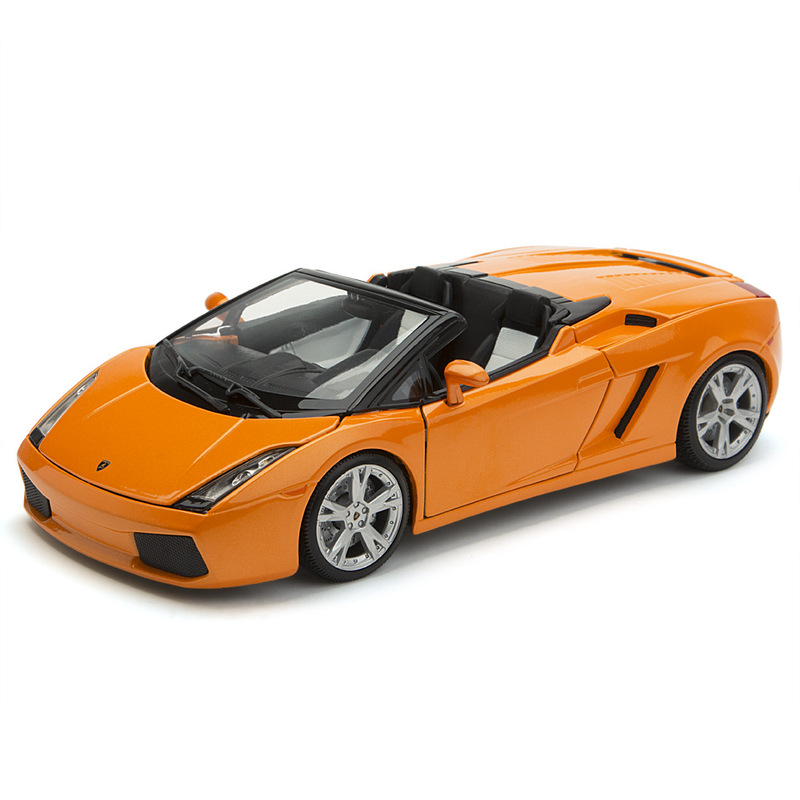 It’s the sheer quality and attention-to-detail Bburago put into their die-cast metal model cars that sets them apart. These amazingly detailed little cars make a unique gift for any serious car lover. They’re even designed in Italy, just like all good luxury cars. Bburago also work in conjunction with each of the major car manufacturers to faithfully reproduce real models of their finest cars in miniature. The result: a beautiful, detailed model car. The car of your dreams. It’s just like the real thing – only much smaller. Suitable for children aged three and over. A 1/18 scale model of the original car. Die cast metal body, with plastic parts. Includes a Bburago display stand. The car can be easily separated from the stand and wheeled around. Presented in a Bburago gift box. Please note: colour may vary from that shown above. Dimensions: 23cm (l) x 6.5cm (h) x 10.5cm (w).